What is a skin resurfacing chemical peel? Chemical peels are clinical treatments which harness the rejuvenating effects of plant-based acids and/or enzymes. Through this, we can safely resurface skin by exfoliating the top layers. This results in revealing the new layers of skin underneath to give smoother, brighter and fresher looking skin. Our skin refresher peels are bespoke superficial resurfacing peels. These boost the skin by removing dead skin cells to visibly reduce the appearance of open pores and blemishes. They instantly leave you with smoother, brighter and dewy looking skin. There is also no downtime so you can immediately enjoy your new skin. 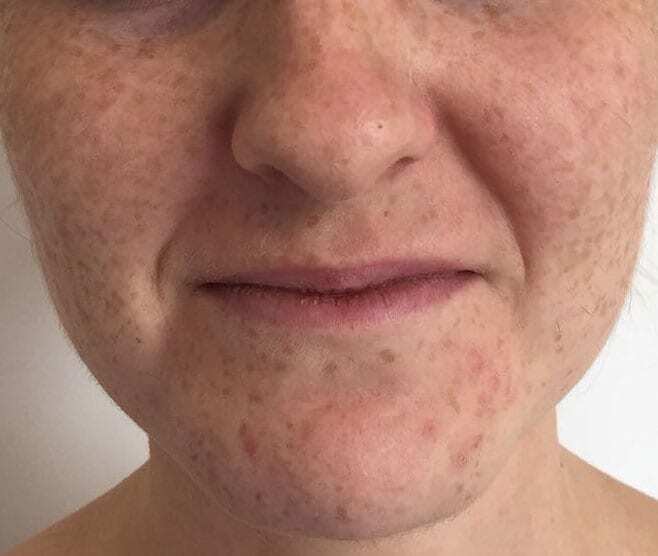 Our bespoke medical peels act at a deeper level of the skin and are excellent for targeting wrinkles, acne, scarring, pigmentation, sun-damage and rosacea. You will see the full effect of the peel after a few days. After which, you can enjoy revitalised, brighter and fresher looking skin. Chemical peels react with the top layer of the skin causing it to peel off to reveal the newer skin underneath. As the old dead skin is removed, new cells and collagen take their place. Thus giving firmer, brighter and fresher looking skin. We use chemical peels to reduce or eliminate wrinkles, acne, the appearance of large pores and scarring. They also stimulate the production of collagen for brighter, firmer and smoother skin. Which skin problems can be treated with a medical chemical peel? What results can be achieved with a chemical peel? Which skin resurfacing chemical peel is the right treatment for me? During a detailed skin consultation with our doctor, we formulate a bespoke treatment plan for you. At City Skin Clinic we offer two categories of skin resurfacing chemical peels. The skin refresher chemical peel is a superficial peel that is great for giving tired dull-looking skin a little pick me up. This chemical peel exfoliates away dead skin cells to unveil healthy new skin underneath. It's brilliant if you want to rescue tired lack-lustre complexion for smoother, brighter and dewy looking skin. We offer several options of medical peels which we personalise and tailor to your skin. These peels work at a deeper level and are excellent for smoothing lines and wrinkles. They can also target acne and breakouts, scarring, pigmentation, sun damage, rosacea and rough texture. For a summary of our chemical peel treatments, download our concise professional guide. The cost of the consultation is taken off the treatment fee. Brightening, clarifying or exfoliating superficial peel treatments for instantly smoother, brighter dewy looking skin. Medium depth peels to target wrinkles, acne, scarring and pigmentation. Bespoke facial with skin refresher chemical peel, micronutrient peptides and oxygenating mask for soft dewy-looking skin. All peels designed and performed by an expert doctor with a passion for skincare. This peel is ideal for rejuvenating ageing skin, smoothing blemishes or imperfections and evening skin tone. Our skin rejuvenating glycolic acid chemical peels range from 55-70% and are a highly exfoliating treatment which resurfaces and renews ageing skin. We combine our glycolic peel with a skin booster mandelic or citric acid peel to enhance its wrinkle smoothing, clarifying, brightening and sun-damage healing effects to give younger, glowing and firmer skin. Apart from some redness immediately after the procedure, there is no real downtime. In the following 3-5 days, skin will appear flakey as it desquamates but can easily be covered with moisturiser so you can get on with your life. You normally see a difference immediately after the peel and maximum effects after around 5-7 days. We use the Neostrata ProSystem rejuvenating peels which are 100% free acid peels. This maximises bioavailability and treats visible skin imperfections by exfoliating the dead skin layers and stimulating cell renewal for healthier looking skin. For optimal results, we recommend using the Neostrata home care products in order to improve the appearance of fine lines and wrinkles, enhance skin clarity and treat dark spots, scarring, sun-damage and blemishes. Our trichloroacetic acid peels (TCA) are medium strength chemical peels which penetrate the deeper layers of the skin to resurface and rejuvenate ageing skin. The TCA chemical peel is great for improving skin discolouration and blemishes, reducing fine lines and wrinkles and smoothing skin texture. 2-3 days after the treatment, you will experience shedding of the skin and peeling which can last for up to a week. After the peeling stops, your skin will appear soft, smooth and revitalised. We use the glo therapeutics TCA peel which is clinically proven to transform the skin by delivering a medium depth peel which is safe. The glo therapeutics range offers a systematic approach to treating multiple skin concerns by incorporating chemical peels with daily boosting products. To get the most of your peel, we recommend using the post peel treatment products which accelerate skin repair and regeneration, accentuate the resurfacing effects of the peel and maintain the results for longer. Our 30% clarifying peel is part of the Neostrata ProSystem and is formulated with mandelic acid (oil controlling AHA) and citric acid (antioxidant AHA). We combine it with a glycolic peel to enhance its skin clarifying properties. This peel is ideal for rejuvenating ageing skin, smoothing blemishes or imperfections and evening skin tone. Apart from some redness immediately after the procedure, there is no real down time. For optimal results, we recommend using the post peel Neostrata home care products in order to accentuate and maintain the effects of the peel. These can be purchased in clinic or online through our store. We use the Neostrata ProSystem 30% skin brightening Peel which is formulated with citric acid (antioxidant AHA) along with kojic acid and arbutin. We use this peel in combination with our 50-70% glycolic acid resurfacing peel to resurface the skin, reduce pigmentation irregularities and uneven skin tone. Our triple action peel combines the clarifying, smoothing and brightening effects of Mandelic, citric and glycolic acid to to enhance skin clarity, treat dark spots and blemishes, mild to moderate acne, superficial acne scarring, keratoses and pseudofolliculitis. It additionally smoothes skin and reduces the appearance of lines and wrinkles. The results can be seen instantly although there maybe skin shedding for 3-5 days after which maximal effects can be seen. For best results and to get the most out of your peel we recommend using the Neostrata post peel kit which can be purchased from us online or at the clinic. Our modified Jessner Peel is formulated to rejuvenate and regenerate oily and acne-prone skin. It is effective at reducing the appearance of large pores and can also help to minimise the appearance of acne scaring. The Jessner peel is ideal for treating mild to severe acne, sun damage, discolouration and moderate wrinkles. It is a gentle peel with little down time. We also layer the Jessner with a Salicyclic peel where necessary. We use the glo therapeutics Jessner peel which uses a gentle and advanced formulation that works on spots, clogged pores and scarred skin to help resurface and rebuild the skin structure. Our trichloroacetic acid peels (TCA) are medium strength chemical peels which penetrate the deeper layers of the skin to resurface and rejuvenate scarred and rough textured skin. The TCA chemical peel is excellent for skin damaged by acne scarring and also evens skin tone, brightens skin and has power anti-ageing effects. Around 2-3 days after the treatment, you will experience shedding of the skin and peeling which can last for up to a week. After the peeling stops, your skin will appear soft, smooth and rejuvenated. We use the glo therapeutics TCA peel which is clinically proven to transform the skin by delivering a medium depth peel which is safe and effective. Our Salicyclic peel is an effective treatment for mild to severe acne. It cleanses pores, decongests skin follicles, reduces inflammation, targets acne causing bacteria and blemishes. We use the glo therapeutics 30% Salicyclic peel which depending on your skin problems maybe used alone or we may choose to combine it with a Jessner peel. These refreshing skin treatments combine a superficial (20-35%) glycolic peel with a clarifying or brightening booster chemical peel to smooth, soften and brighten your complexion for instantly glowing dewy-looking skin. Our signature bespoke advanced clinical facials combine a resurfacing superficial refresher chemical peel to exfoliate the skin. We follow this up with delivery of a rich micronutrient cocktail formulated specifically for your skin's needs and an oxygenating mask to stimulate collagen production and blood flow to the face. Do I need to use any specific products after a peel? This depends on your usual skincare routine. We may recommend adding skincare product(s) to maximise on the surfacing effects of the peel if it is currently missing from your regime. There are several brands which we recommend and products can be purchased through a number of online or high street retailers. Whilst peels can be performed without these products, they can significantly enhance the effects. Our doctor can recommend which will be suitable based on your skin assessment. As a minimum, you will need to use SPF50 after the peel in order to protect the newly revealed skin. What type of peels do you use? We predominantly use the Neostrata ProSystem and glo.therapeutics professional peel ranges which in our experience have been safe, effective and give the highest patient satisfaction. Our peels are mainly alpha hydroxy acid (AHA) based with our key resurfacing peels using Glycolic acid which is a natural constituent of sugar cane that exfoliates the skin by enhancing cell turnover, redistributes pigmentation, and reduces the appearance of pores and wrinkles. We also use other types of AHA peels such as citric, lactic and mandelic to target specific concerns such as acne, dull skin and pigmentation disorders. Our TCA peel is a medium strength chemical peel is a highly effective treatment for improving the appearance of ageing skin. It smoothes wrinkles, lines, texture and stimulates fibroblasts as well as evens skin tone. For acne, spots, blocked pores and inflammation, our modified Jessner peel has a transformative effect on reducing the appearance of melasma, freckles and acne. Our alpha beta peel is also good for more mature acne prone skin. As all our treatments are fully bespoke, the peel treatment we provide will depend on a detailed skin assessment with our doctor. What is the difference between a skin refresher peel and medical peel? Our skin refresher peels are excellent "lunch-time" peels which can be used as a pick me up. They use a lower strength peel to exfoliate skin cells and reveal healthier, smoother, plumper, firmer, less oily, and more even-toned skin with fewer acne blemishes. There is no downtime with these peels and are ideal as part of your skincare regime to achieve glowing and more radiant skin. Our medical peels are higher strength peels which combine a glycolic acid peel with another AHA to target specific skin complaints such as acne, scarring, hyperpigmentation, wrinkles, melasma, rosacea, pseudofolliculitis barbae and keratosis pilaris. Your skin may appear dry and flakey for several days after the peel before the new layer of skin is revealed. Best results are achieved with a course of treatment every 4-6 weeks. Can Peels be used on any skin tone? Our peels can be safely used on any skin colour to provide exfoliation, enhanced cell renewal, antiaging textural effects and reduce the appearance of uneven pigmentation. This depends on your skin condition and physiology but as a general guide: - Hyperpigmentation and acne-prone skin: 3-5 medical peels. - Deeper textural changes such as wrinkles and scarring: 4-6 medical peels. - Rosacea: 10-12 medical peels. The most severe skin problems can take longer to improve. Conditions such as deep acne scarring and sagging wrinkled skin may benefit from a combination of peels with treatments such as dermal fillers or collagen induction therapy to yield the best possible results for your skin. Peel treatments should be administered once every 4 to 6 weeks for best results. 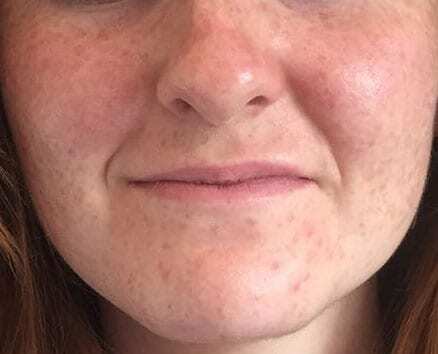 Do I need to stop taking oral retinoids if I have a chemical peel? Retinoids and other exfoliants can increase skin sensitivity and reactivity. If you are on prescription medications, we recommend that under the direction of your dermatologist or GP, you should have discontinued use for at least 6 months prior to any chemical peel. How will I look and feel after my peel? At first, your skin may be red and feel sensitive after the peel. With medical peels, some patients experience stinging, burning, itching, mild pain or discomfort, tightness, puffiness, crusting and peeling of the superficial layer of skin which is normal and expected. It is important to remember that unlike other peels, you may not see visible flaking or peeling of the skin but this does not mean that you will not achieve the desired results. The results of superficial peels can be seen straight away whereas those of the medical peel can take 5-8 days to be fully revealed.